Your little child might take the On The Mic Tour Bus pretty much everywhere. I think you will like that it has got this feature, bratz tour bus roof doubles as a concert stage. Other features consist of built in kitchen and bathroom and removable seats, flip down d. j. booth. It's 11"H x 16"L x 7.5"W. It weighs close to 6.2 lbs. New On The Mic Tour Bus . To get this product now at the best price, click on our store add to cart button on this site. Get ready to rock out with some serious style. 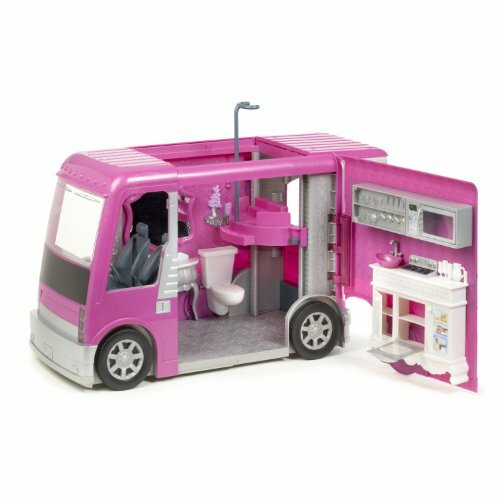 Includes elevating platform to stage roadside performances Removable seats, flip down D. J. booth,Built in kitchen and bathroom Plug in your MP3 player or Bratz On the Mic Doll pack microphone to the tour bus speakers. Removable seats, flip down D. J. booth. These fashion dolls always bring their sassy spirit, signature style, also as a entire lotta' attitude Bratz: The girls getting a Passion for fashion (Dolls not included ). Built in kitchen and bathroom. The Bratz are tuning up, practicing their skills, and getting ready to take rock on the road This cool tour bus is also a touring concert stage The Bratz 'On the Mic' Tour Bus features: Bratz tour bus roof doubles as a concert stage. Recommended for ages 6 and up Bratz tour bus roof doubles as a concert stage Plug in your MP3 player or Bratz On the Mic Doll pack microphone towards the tour bus speakers. Includes elevating platform to stage roadside performances. The Bratz? are celebrating 10 years of getting the life from the party. 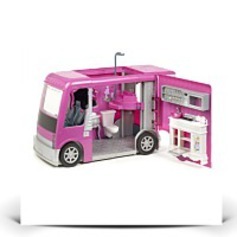 Plug in your MP3 player or Bratz On the Mic Doll pack microphone to the tour bus speakers. Dimensions: Height: 11" Length: 16" Width: 7.5"
Package Dim. : Height: 8.19" Length: 18.98" Depth: 11.02"